The top Cape Town horse racing and social event of the year promises once again lots of colour, excitement, sparkle and beauty. The J&B Met is one of the biggest and most colourful lifestyle events on the Cape Town Social Calendar which you will love to join. This annual Cape Town horse race is taking place on Saturday, 30 January 2016. More than 50,000 visitors are again expected to visit this huge sparkling event in the Mother City, which is in its 39th year in 2016. Kenilworth Racecourse is a place to see and be seen, so get your most fashionable outfit and mingle with the crowds. And after the exciting day at the races enjoy the hot After-Party which will start after the last race in the J&B Met Lifestyle Village. This year’s J&B Met theme is 'A Rare Blend' and surely the visitors’ attire will be as sparkling and unconventional as ever. The competition for the 'Most Elegant Couple' is also always a big draw at this premier fashion and horse racing Cape Town event. The prizes for the competitions are fantastic with prizes for the 'Most Elegant Couple' and just by purchasing a ticket you will have the chance to win various prices which in 2015 added up to the value of R500,000! So get some inspiration from these glorious outfits from J&B Met. Did you know that as early as in the 1800s horseracing attracted the sophisticated crowds to the South African racecourses? Initially Greenpoint Common was the place in the Cape where the first horse races were taking place in the Mother City. In 1883 "Sir Hercules" was the first noted winner of the "Metropolitan Mile" as the horseracing event was called then. It wasn’t until the 1960s that horseracing became an established event in the Cape Town social calendar, when horseracing became more and more popular here too. Then the Mother City became the location for one of the three major South Africa horse racing events along with the Durban July Day on Greyville Racecourse and the Johannesburg Summer Cup on Turffontein Race Course which takes place annually in November. In 1977 J&B moved in as the main sponsor for the Cape Town event and the now hugely popular J&B Met was born. 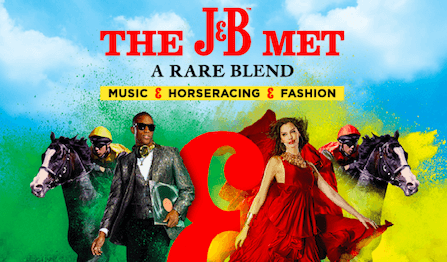 In 2015, at the J&B Met there were sixteen of the top thoroughbred horses lined up for the 2000 metres race at the splendid setting of Kenilworth Racecourse. They competed for a R2.5million trophy. In Cape Town there are two horse racing courses which host regular events. These race courses are located in Kenilworth and Durbanville. Contact them for more details. •	When? 30 January 2016 opening at 10am. First race starts at 11.30h, various races until 19.00h. •	How much? Tickets also available at the gates cost from R125 (Grand Stand from R150) and R495 for the J&B Lifestyle Village pass. Tickets can be bought before the event from www.computickets.co.za. There you will also find more details about prices and opening times. Disclaimer: No responsibility taken for inaccuracies and event changes. Please always check the official websites for event details. More info about the event on the J&B Met website.